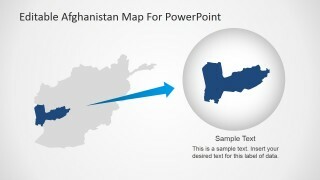 Editable Afghanistan Map For PowerPoint is a 100% customizable presentation containing the Afghanistan Map, created as a composite of PowerPoint Shapes. 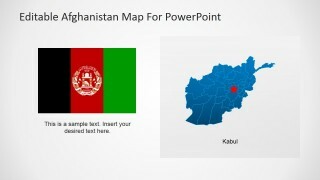 If you are a teacher of international politics, geography or global history and are currently preparing a lecture that requires an in-depth analysis of the vital Middle Eastern nation state that is Afghanistan, look no further as SlideModel have the template for you. 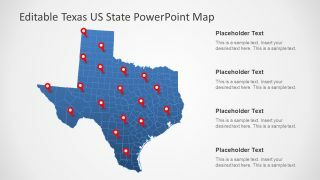 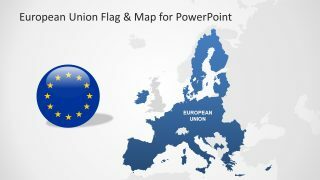 With this professional presentation template you will be able to create a quality presentation that can address the inner relationship of the country. 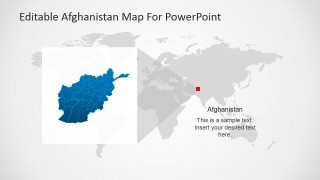 This presentation map template can be used to illustrate in detail the importance of Afghanistan’s borders, specific highlights, geography, its economy and historic make up. Every state and province is made up of an individually customisable, high quality clip art icon so that you can use this template design to address any aspect of the long and complex Afghan history and geography that you like. 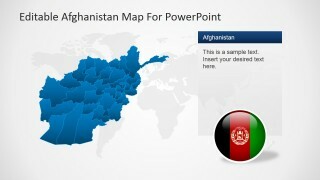 Perfect for use in the classroom, at school and in university – for geography, modern history or international politics among others – this fully editable PowerPoint presentation template features a full size map of Afghanistan along with the thirty-four individual provinces that make up this proud country. 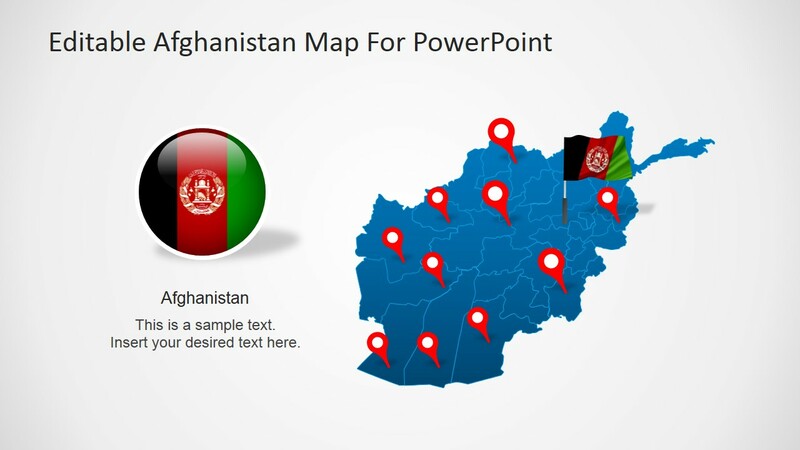 Customisable, high quality clip art icons have been included in this professional PowerPoint template to allow the user to indicate to their audience the locations of the larger, key cities of this integral Middle Eastern nation. 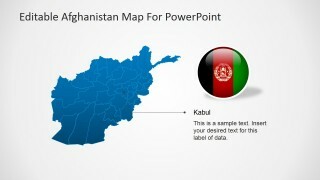 Afghanistan borders with Iran, Pakistan, Turkmenistan, Tajikistan, China and Uzbekistan and is located in the south center of the Asian Continent. 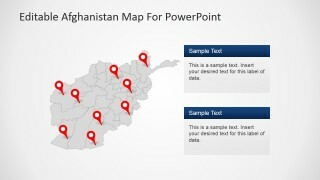 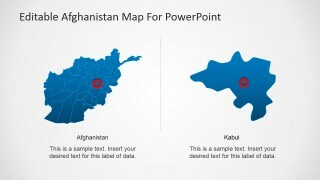 This Afghanistan map for PowerPoint template – like all of the designs produced by SlideModel – is fully customisable; you can transform any part of what you see to suit your specific needs. 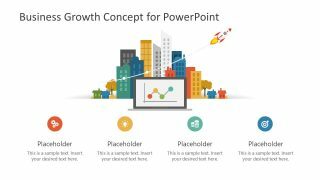 Whether you want to add, change or delete text, data or images, this template has been designed specifically for such a purpose. 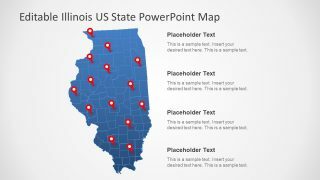 Ensure that the lecture sticks in the mind of your audience by using the editable features to create shadow effects, group, and ungroup provinces, recolor and resize the vector images and create a moving presentation.